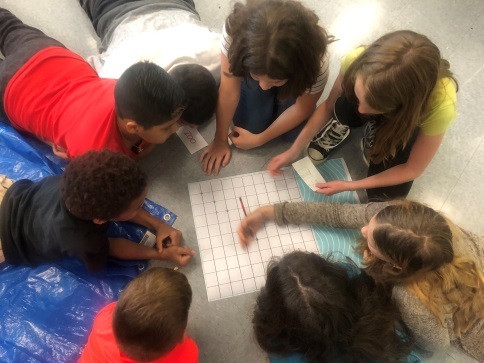 5th grade Amy Lamb – for having her students work in groups, formulate questions that provide them with data that changes over time. Once data is collected, students were able to create a line graph to represent the data. 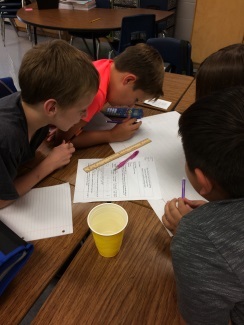 Once graphs were created, students then solved one and two-step problems using the information in the graphs. 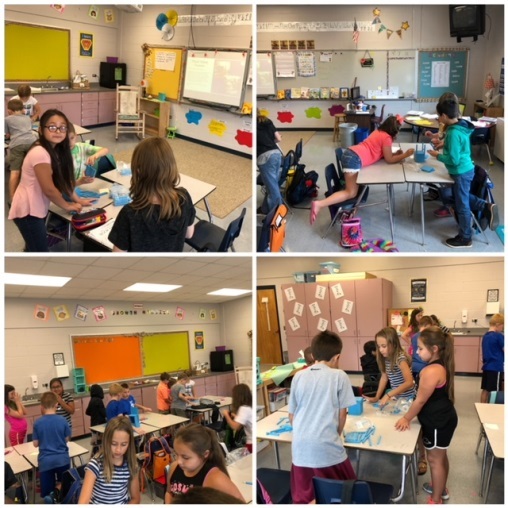 Great job referring to your standards and unpacked document, as well as use of real-life skills for these 5th graders, Mrs. Lamb! 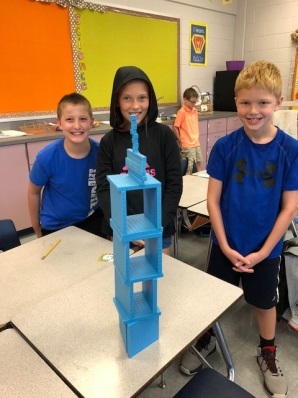 3rd/4th grade Mindy Tyson – for using the new lessons on Tools4Teachers website and having her students build Place Value towers with place value blocks, even up to the 1,000’s place. 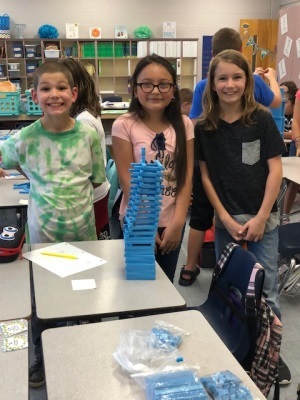 Students wanted to see who could build the tallest tower, even with exchanging blocks. 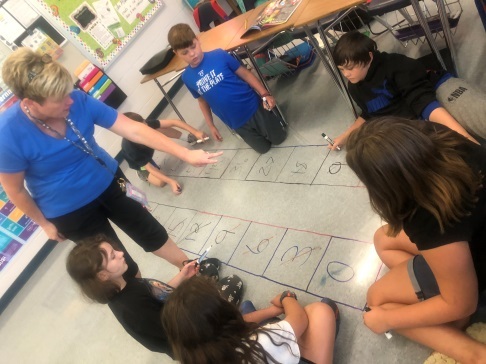 Way to utilize your resources and make learning fun for your students, Ms. Tyson! 2nd grade Lauren Hussey- for encouraging students to use Chrome books in pairs reading fairytales. The students were excited to access these using technology and share with their partners. Building that college and career readiness early~ way to go Mrs. Hussey!